An Ecclesiastical Beis Din (Rabbinical Court), handling Marriage Authorisation, Divorce (Gittin), Jewish status and Conversions (Geirus).The Beis Din also sits as an Arbitral Tribunal, arbitrating commercial and financial disputes. The Federation Beis Din provides ADR (Alternative Dispute Resolution) services, offering either legally-binding Arbitration or Mediation. A Din Torah is a hearing of a dispute in front of a recognised Beis Din (Jewish court), in accordance with Jewish law. This dispute may relate to any commercial or personal matter which would normally be adjudicated in a court of law. The proceedings are relatively quick, cheap and informal and are determined by expert and experienced Judges known as Dayonim (single: Dayan). 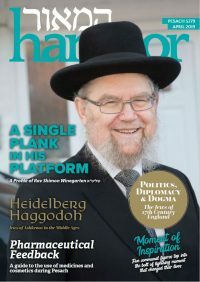 It is a fundamental rule of Jewish law that a dispute between two Jews should be referred to a Beis Din for decision, and not be taken to the civil courts. It is, therefore, the religious and moral duty of any Jew who wishes to pursue a claim against a fellow-Jew, or any Jew who is called by a fellow-Jew to a Beis Din, to have the matter dealt with by a Beis Din, and to accept and carry out any decision of the Beis Din. 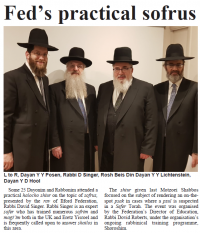 The Federation Beis Din is staffed by experienced Dayonim who are expert in halacha and its application to modern day commercial situations. Some are also Members of the Chartered Institute of Arbitrators. The Federation provides a Beis Horo’oh for small claims.